Double-click on last point to finsh. With a large interlinking network of park connectors, you can easily park hop while indulging in various fun and recreational activities. Feel the cool breeze as you navigate your way along the roads, picturesque rivers and canals that link you to the major parks in Singapore. 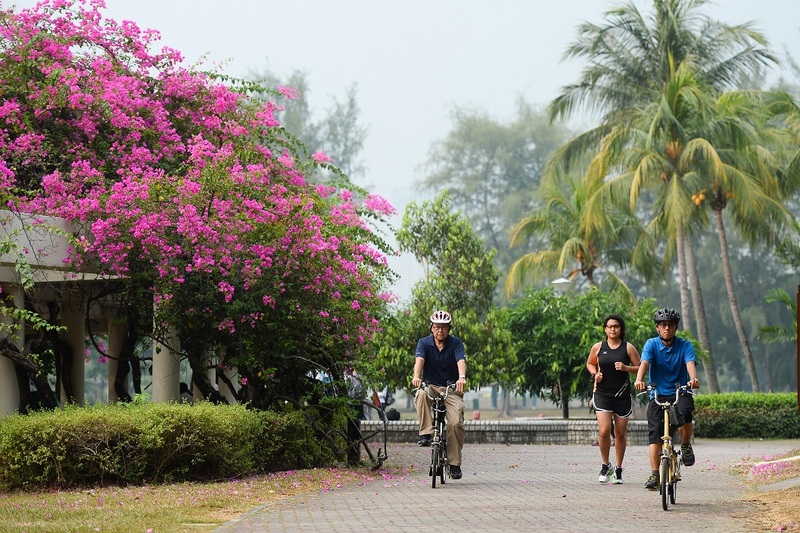 Hop on a bicycle, put on a pair of rollerblades or simply jog along the park connectors and appreciate the myriad of sensory delights and adventures on offer. The Round Island Route (RIR) is a continuous 150 km park connector that goes around Singapore. It will complement the existing Park Connector Network, connecting existing natural, cultural, historical and recreational sites and linking communities together. It will provide opportunities for recreational activities such as cycling, skating, jogging and hiking. These connections and activities will enhance our ‘City in a Garden’ experience for all residents. 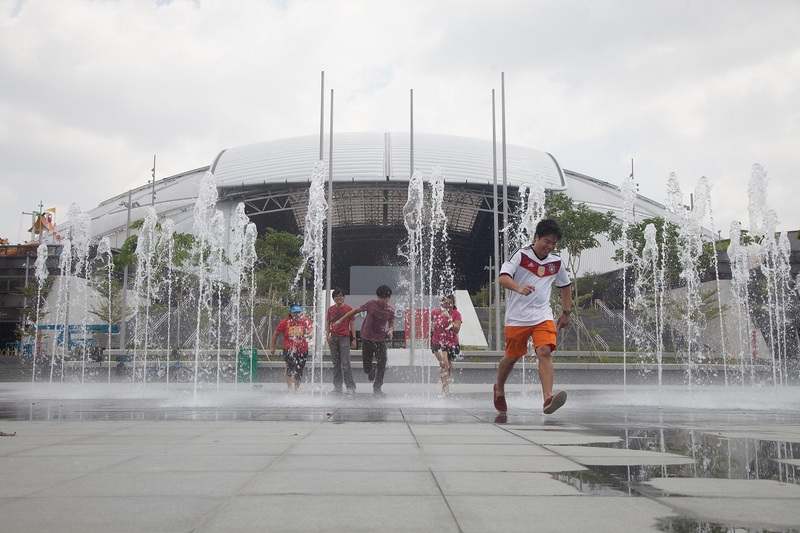 The first phase of the RIR is the 60 km route between Rower’s Bay and Gardens by the Bay. The RIR node at Rower’s Bay features a new boardwalk that brings visitors closer to the water, a lookout pavilion, swales and a wetland. Visitors to Rower’s Bay can make their way towards Seletar Aerospace Park and the next point of interest via a completed 3 km of RIR. This area features three Heritage Trees, as well as a shelter with charging points. They can also venture into The Oval at Seletar Aerospace Park to explore its rich colonial history and enjoy the F&B offerings in the area. Today, of the 60 km first phase of the RIR, 50 km between Sengkang Riverside Park and Gardens by the Bay is already connected. With the completion of Rower’s Bay and the 3 km to Seletar Aerospace Park, 7 km remains to be linked up. This brings us closer to completing the connectivity along the entire 60 km by 2020 when the public will be able to enjoy more nodes with amenities, widened paths along several sections and enhanced planting to provide shade. In addition, by 2021, another 60 km of paths between Gardens by the Bay and Rower’s Bay, part of which runs along the Rail Corridor, will be connected, making a loop of 120 km. 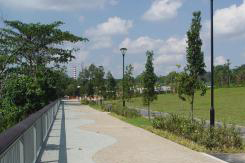 The 36 km C2C Trail stretches from Jurong Lake Gardens in the west to Coney Island Park in the northeast. It takes visitors through a variety of parks, nature areas and places of interest. The Trail is complemented by the C2C mobile application, which makes use of interactive augmented reality (AR) elements to provide users with a curated walking experience, as well as a DIY trail guide. New features will continue to be added to the app. For example, by next year, users will be able to develop their own curated trails and share these for others to experience and enjoy as well. Find out more about park connectors that are temporarily closed for upgrading works. As you ride or jog along our park connectors, please remember to be considerate to other park connector users. Read more about Park Connector Network Etiquette and Use of Personal Mobility Devices in Parks and Park Connectors. Meandering through the heartlands, the Central Urban Loop gives visitors a glimpse into the urban green spaces in Singapore. If you work up an appetite during your adventure, satisfy your hunger with the delectable hawker delights available along the way! View the e-guide here . Discover less-travelled sides of Singapore on the North Eastern Riverine Loop (NERL). 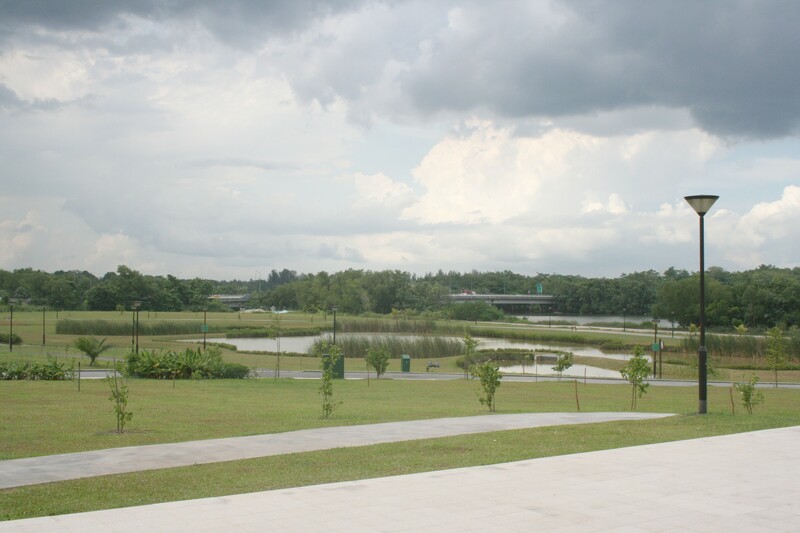 The 26-km NERL of the PCN links up four parks – Punggol Park, Punggol Point Park, Punggol Waterway Park, and Sengkang Riverside Park – and runs through the heartlands of Buangkok, Sengkang, and Punggol, and into the rustic landscapes of Punggol Beach, Punggol Promenade and Lorong Halus Wetland. View the e-guide here . This extension to the Eastern Coastal Loop connects some of the most exciting locations in southern Singapore to the east coast. It brings a host of new activities closer to cyclist, runners and rollerblading enthusiasts. Visitors will be able to soak in the beautiful cityscape views along Marina Bay. Just minutes away are iconic landmarks such as Gardens by the Bay, Marina Bay Sands and the Singapore Flyer. Experience the rustic charm of the north on this long walking trail. This trail takes you to parks, reservoirs and scenic spots in the northern part of Singapore, accessible via the Northern Explorer Loop (NEL). View the e-guide here.